Our value brown recycled paper bags offer incredible value for money. 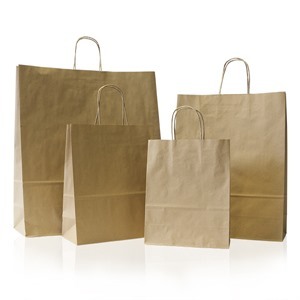 These paper carrier bags are most commonly used in gift stores, boutiques, clothing outlets and other retail stores for small items. Flat block bottom suited for boxes and other containers, the bags are suitable to hold up to 2-5 kilos in weight depending on the size.